...for by far the longest posting gap in this weblog's recent history. I've had a really, really busy/eventful few weeks and haven't had a chance to write anything. And now I suddenly have plenty of time on my hands, but don't feel very inclined to set finger to keyboard. Maybe just count this as one of my semi-regular "freak out times", and hopefully I'll be back before you know it with something new. Oh well - onwards and upwards. It's for times like these that the Gods (or alternatively, punk rock, SST etc.) 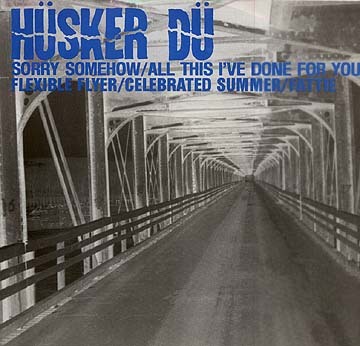 gave us Husker Du.